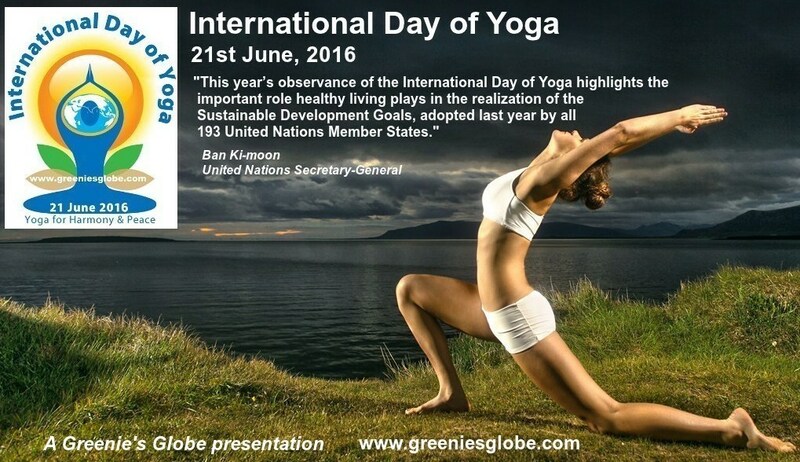 21st June has been declared by the United Nations as the International Day of Yoga. Originating in ancient India, Yoga is a 5000 year old spiritual discipline – the regular practice of which can help cure several ailments and sustain physical and mental well-being ! Apart from improving health,Yoga can – in a way – help conserve the Environment too ! As the practice of Yoga “awaken” people to their interdependence with Nature, they can be expected to become more sincere in their efforts to preserve Nature ! Besides, to stay healthy we need to ensure that our Environment is clean ! This entry was posted in 3l. Stay Fit Naturally. Bookmark the permalink. ← World Environment Day June 5th, 2016 !!! World Environment Day June 5th, 2016 !! !